The service you receive is often the most important component to whether you have a successful event. By service, we mean the overall efforts of the photo booth rental company to make sure you’re happy before, during and after your event. As always, we suggest that you read the reviews carefully. No reviews indicate a new and possibly inexperienced company. Most companies will have reviews that say, “The booth was wonderful, everyone loved it!” However, what you’re looking for is something that shows the company will go above what’s generally expected to ensure you have a successful event. The level of service is almost always linked with the price of the offering. Cut rate prices might initially seem like a win, but they are often a recipe for disaster. When the price is extremely low, that generally means the company doesn’t pay very well, so they can’t attract and keep the most talented employees. There may not be enough staff to serve you promptly, and there’s often little to no budget for dealing with unexpected issues. During a particularly harsh winter, more than a foot of snow fell in one day. We had an event booked that evening. It took almost 6 hours to drive what usually takes less than an hour. We ended up paying our staff person for twice the hours she was scheduled for, and secured a hotel room so she didn’t have to drive home until the next day when the snow was cleared. Yes, we probably lost money on that event, but due to charging a fair price overall, we were able to absorb that loss, compensate our attendant, and provide great service where another company may have just called and canceled. 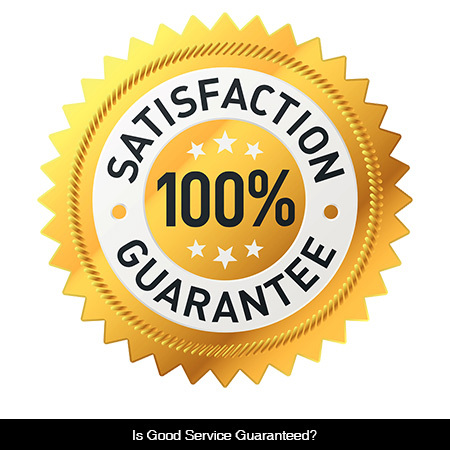 There’s only one way a company can show it is completely dedicated to the success of your event, and that’s by having an unconditional satisfaction guarantee. Just like a product warranty tells you something about when the company expects that product to need repair, if your photo booth company does not offer a guarantee, that should tells you something about level of service it is committed to providing. Prior to your event, you’ll want to watch out for red flags that indicate you’ll have a hard time getting in contact with a staff person at your photo booth company. Are phone calls and emails returned in a timely manner? Do they seem excited to work with you? Do you feel that your business is important to the company? One of the most important things to handle before your event is personalization of your experience. A professional photo booth company should be knowledgeable about the process of customizing things for you, and helpful in making sure that your photo booth will be unique. Often packages include the design of a custom logo. Have you seen sample work from the person that will design your logo? Ask to view examples of exactly what you should expect in terms of the logo and the quality of the photos. Even if you choose the perfect photo booth rental, poor service during your event can ruin the experience. We’ve often heard stories of attendants that were mean, or too introverted for guests to enjoy themselves. If the person you’re dealing with in booking your photo booth isn’t very pleasant, that might infer that their staff in general isn’t very outgoing. When will the booth set-up and break down occur? It generally will take 30 minutes to 2 hours for most portable photo booth systems to be transported and assembled or broken down. Find out when that set up process will occur. Will you be charged for the set up and break down time? Will it disturb your event? To further personalize our set-up to our client’s needs we offer a service called Idle Time. That is a block of time where the booth is set up, but not in operation. It’s great for weddings or other events where you’d like the booth to be set up in advance, but don’t want to open the booth to your guests until you know everyone will be available. Following your event, you can usually expect to receive copies of your photos in one format or another. If you have ordered a photo guestbook, you will likely get a scrapbook full of photos on the day of your event. Some companies will also provide you with a flash drive or DVD of photos on the day of, or soon after your event. Make sure you know what to expect in terms of delivery of your photos following the event. Of course everyone hopes for a flawless event, but if this isn’t the case, how will things be resolved? Do you feel comfortable that you’ll be able to contact someone to resolve an issue once your event is over and the company has already been paid in full? Once again, a guarantee is a good clue that will give insight as to how reputable the company is, and whether they’ll see things through from start to finish. 2. What happens when something goes wrong? 3. When have you gone above and beyond to ensure the success of a client event?